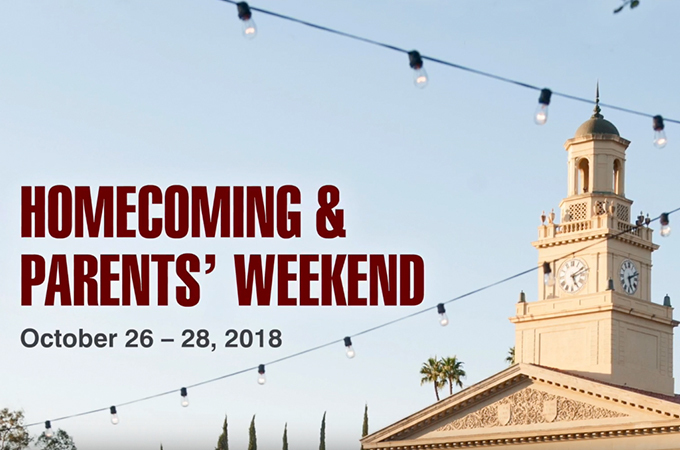 It has not been often in the 43 years since I graduated from the University of Redlands that I have been able to make it to California (from New Mexico) for Homecoming and Parents’ Weekend, although it just seems to get better every time. 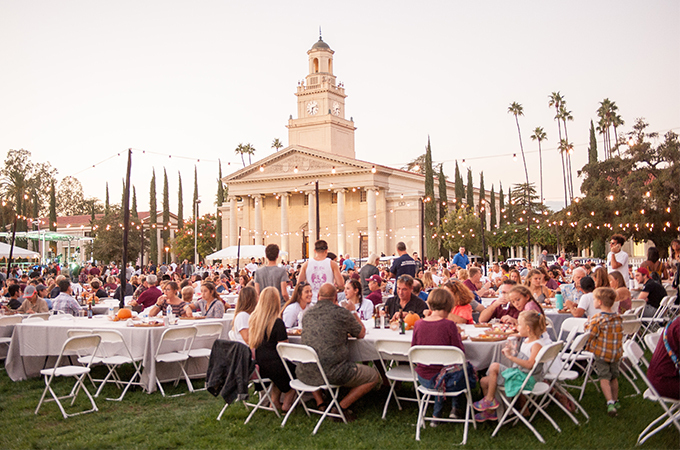 It is apparent the Redlands staff and faculty work hard to present a diverse and interesting slate of events and speakers to choose from! As a former double science major and Greek sorority alumna, the “elective” choices were easy for me to make. The festivities began with the Celebrating Endowment Luncheon on Friday afternoon. It was wonderful to sit with Jackie Andrade ’19, who received my family’s endowed scholarship in the sciences, and Mary Balderrama ’19, whose science research I helped to sponsor this summer. We talked about being professional women in a scientific field, and both of them really have their act together! I look forward to staying connected with them on LinkedIn after they graduate. The event’s speakers were also very impressive, especially Sera Gearhart ’19, whose showed maturity and empathy well beyond her years and demonstrated the high quality of Redlands students—I was just amazed. On Saturday morning, I attended the discussion on “Greek Life at U of R” in the Hall of Letters building (I had forgotten how beautiful those stained and carved vigas on the ceiling of Room 100 are!). The new dean for student affairs, Donna Eddleman, was there to kick off the hour and attest to the University’s respect for the past, as well as its support of the present and future of Greek life as one good option for student development and leadership opportunities. I recall my three years in one of the local Redlands sororities as providing me with some good friends in majors outside of science and with some needed balance and perspective about other opportunities for involvement provided by the University and by the wise sorority alumnae who guided us. At this session, which included a presentation from Student Affairs, we were told the University had hired a consultant to advise on improvements in the administration of the Greek community. One finding was that continued close involvement and advice from Greek alumni help make chapters more successful in the long run. Redlands has now implemented the consultant’s recommendations, including creating a four-pillar organizational structure and making the financial commitment to fill the leads of these groups. Obviously, there will be growing pains for everyone, but Erin Sanborn, Alex Ries, Dan Burfeind, and Ken Grcich all seem committed to developing their new roles in support of Greek life on campus. Before a wonderful award luncheon and celebration with my sorority sisters, both active and alumnae members, I took a free hour to wander around the campus, channeling my years there, and looking at the still-happy-and-friendly faces walking to and fro on campus. I popped into the Willis Center, which I recall being the Student Union, where today people gather to begin student tours and pick up application materials. During my weekend, I hovered around three prospective-student tours. I don’t know how “stealth” I was, but I was impressed by the sincere enthusiasm and knowledge of the student tour guides, as well as their willingness to give their time to perpetuate the Redlands experience. I also visited three of the University’s spots for quiet contemplation and inspiration, the Labyrinth maze behind Memorial Chapel (or as we called it, Mem Chu), and the LaFourcade and Rose Garden near the Administration Building. These wonderful spaces did not exist when I was there, and I admit to a pang of envy upon enjoying them last weekend. Before the Science Center Happy Hour started in the Parrish Courtyard at the Stauffer Center, I wandered through several of the new (to me) science buildings. Oh my! I encountered the sundial wall at Appleton Hall and the serendipitous but amazing echo chamber! And, hidden inside Lewis Hall, another unbelievable garden space! I had hoped to meet some of the science professors at the Happy Hour, so I could find out more about the specialties and research opportunities afforded to students today. I was extremely pleased to see the faculty turnout and tried to “float” to meet, greet, and chat with many of them, along with some of their former and current students. I thought the turnout was outstanding for a Saturday afternoon and demonstrated their strong commitment to be available to parents and alumni. Fun for me was talking with a couple of the longer-tenured professors with whom it was still possible to reminisce about my former science professors and the conditions that existed for lab work before there was a Stauffer Science Center. Throughout the day and at the final event for me, the picnic dinner on the Quad, I had the opportunity to speak to some parents. I am in awe of the commitment they are making to their kids to assure they get a good start in life and a well-rounded education, such as provided at Redlands. Certainly, there are scholarships, but a major financial burden still lies with these dedicated parents of the student body. To make possible those happy student faces requires a lot of planning and sacrifice. For me, these conversations underscored my resolve to maintain my own personal support of Redlands through gifts to direct programs and endowed scholarships so the pipeline of young adults prepared to find their place in the world remains open and expands into the future. On this day, I found so much to make me optimistic for the future.